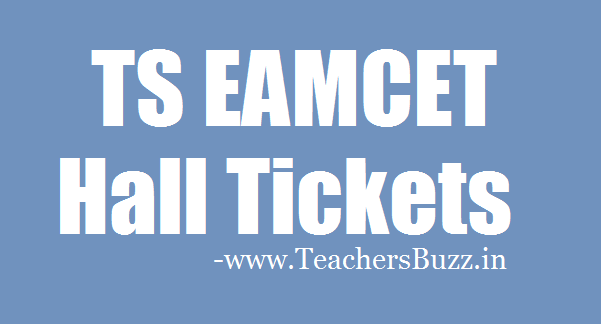 TS EAMCET 2019 Hall tickets | Telangana EAMCET 2019 Admit Cards Download.TSEAMCET 2019 hall tickets download,TS EAMCET 2019 New Exam Date, Telangana EAMCET 2019 hall tickets, Engineering Entrance Exam Hall Tickets 2019,admit cards,results, jntu eamcet 2019 hall tickets,TSCHE EAMCET 2019 hall tickets Engineering, Agriculture and Medical Common Entrance Test (TS EAMCET) is conducted by Jawaharlal Nehru Technological University Hyderabad on behalf of TSCHE. This examination is the prerequisite for admission into various professional courses offered in University/ Private Colleges in the state of Telangana. TS EAMCET Engineering, Agriculture & Medical Common Entrance Test (TS EAMCET) is conducted by Jawaharlal Nehru Technological University Hyderabad on behalf of TSCHE. This examination is the prerequisite for admission into various professional courses offered in University/ Private Colleges in the state of Telangana.JNTU, Hyderbad issued the TS EAMCET 2019 Notification in April, 2019 and the University invited the Online Applications from the Eligible students who wish to appearing for EAMCET 2019 Downloading of Hall Tickets from the website www.tseamcet.in ...-04-2019 to ...-05-2019. The Candidates who were applied for this , they are waiting for their admit cards/ hall tickets. The JNTU Officials have uploaded the hall tickets of eamcet aspirants. So, candidates can download their hall tickets from the official website only. This is the entry pass of examination hall. Candidates should keep their hall tickets while going to the examination hall and should preserve the hall tickets up to counselling and also it is useful to the future reference. Downloading of Hall Tickets from the website www.eamcet.tsche.ac.in :From...-04-2019 to ..-05-2019. FN : 10-00 A.M. to 1-00 P.M.
6. Read instructions given on hall ticket and Remember to carry it in the exam hall.